EVERYTHING YOU NEED TO HELP SCORE A PERFECT 800. 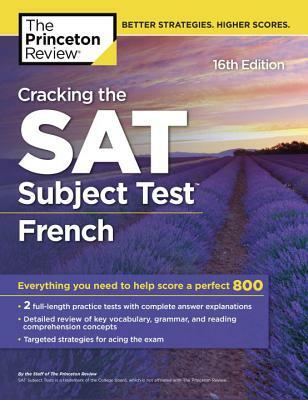 Equip yourself to ace the SAT Subject Test in French with The Princeton Review's comprehensive study guide—including 2 full-length practice tests with complete answer explanations; detailed reviews of key vocab, grammar, and reading comprehension topics; and targeted strategies for every question type. SAT French is an undoubtedly tough subject. Written by the experts at The Princeton Review, Cracking the SAT Subject Test in French arms you to take on the exam and achieve your highest possible score.